Create a different, elegant and desirable ornament, one that all your friends and family might be anticipating as a gift. 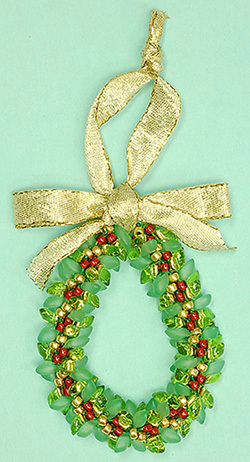 This little wreath can be a stash buster for some of your leftover beads. Enjoy learning the Kumihimo braiding technique that is fast as well. This class is for all skill levels.